Jennersdorf main road is straight ahead. 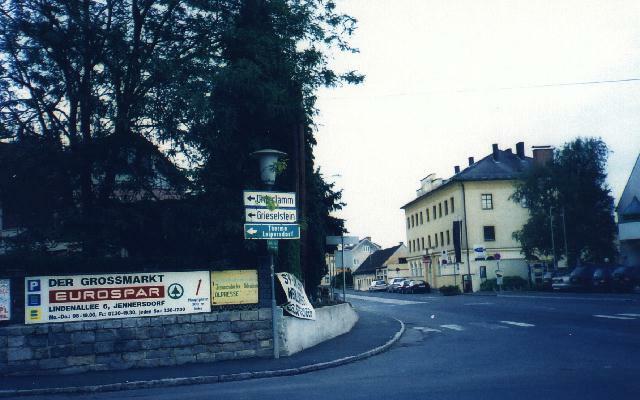 Notice the black banner hanging in front on the Gendarmerie Bezirksgericht--picture was taken after 9/11. 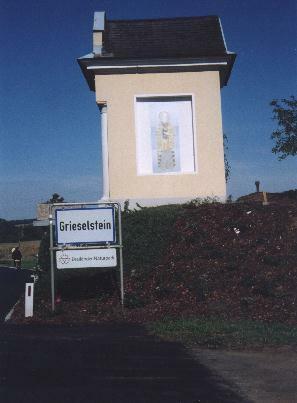 To the left is Grieselstein.